Canalis is the latest endeavor from Spiral Groove founder Allen Perkins, working in conjunction with renowned loudspeaker designer Joachim Gerhard. Canalis offers four ultimate-performance loudspeakers including the Anima and Anima CS two-way compact monitors, the convention-breaking Cambria and the flagship floorstanding Allegra 2.0, along with the Anima Stand and Strange Attractors loudspeaker feet. Canalis loudspeakers are manufactured entirely in the US. At the heart of all Canalis and Spiral Groove products is Perkins’ concept of Balance Force Design, aimed at achieving the most elegant equilibrium of materials, performance, function, manufacturability and aesthetics. To this end, Canalis loudspeakers incorporate a number of novel engineering and materials concepts – including the use of multi-ply bamboo as a cabinet material. “Bamboo offers an ideal combination of strength, sonic neutrality, machinability and beauty, and we are the only manufacturer to use it for loudspeaker enclosures,” noted Perkins. “I’ve worked with Joachim Gerhard for many years,” continued Perkins, “and he is gifted in his ability to apply technically correct engineering to achieve emotionally moving musical results.” Canalis loudspeakers are available in Honey, Licorice and Cinnamon finishes from authorized dealers in the US and worldwide at prices ranging from $3,250 to $17,500 per pair. Canalis is a new range of loudspeakers designed by Allen Perkins and Joachim Gerhard to convey music with exceptional fidelity and emotional involvement. 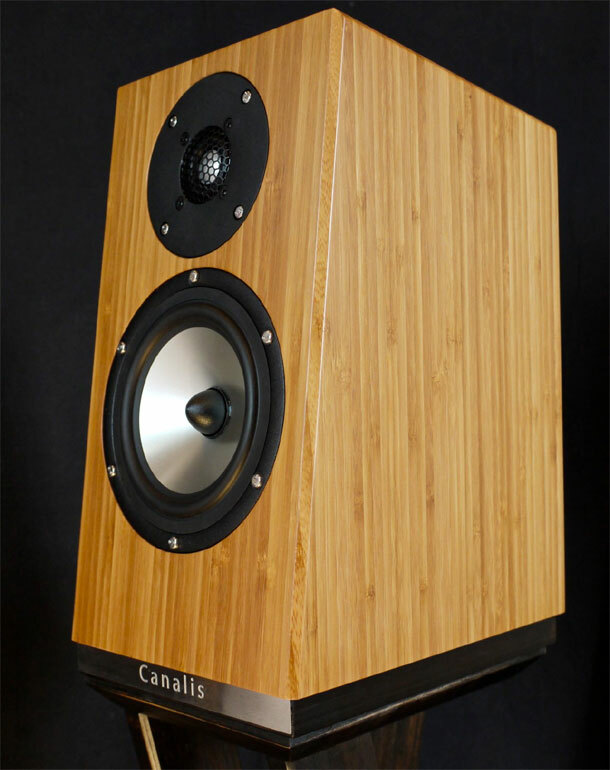 Canalis loudspeakers are developed and manufactured by Spiral Groove in Berkeley, California. For more information please visit www.canalisuadio.com.